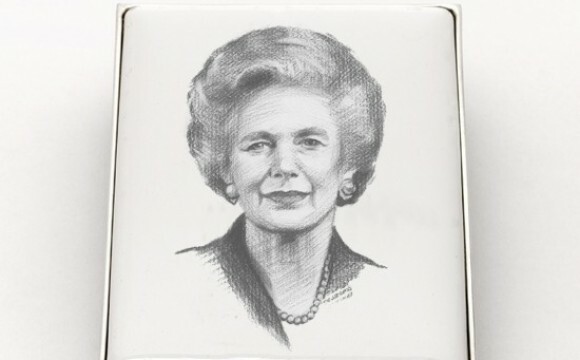 As Prime Minister of the United Kingdom from 1979 to 1990, Margaret Thatcher was one of the most famous and visionary politicians in British history. 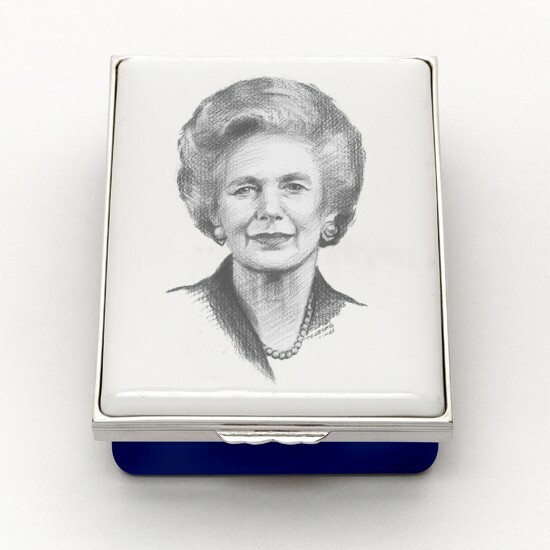 To pay tribute to this most outstanding individual and her extraordinary career, Halcyon Days is proud to present two new very special boxes. Julian Calder, the notable photographer has worked with some remarkable individuals in our society, from HM The Queen to author James Herriot. It is he who has provided us with a stunning image of the eminent politician. © Halcyon Days. Please click here for the Halcyon Days website where the box is for sale.